Running a pest control business has always been a lucrative option, especially for people who have experience managing in-field assets. However, it is also a business that requires a ton of organizational skills in order to run efficiently. 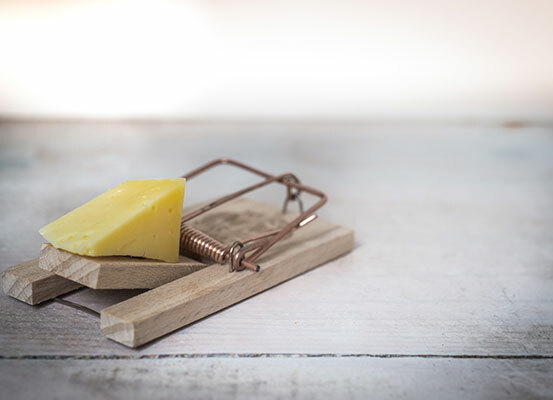 Most small-to-medium pest control businesses rely on complicated spreadsheets to track everything from customer acquisition to scheduling to invoicing. And anyone who’s used spreadsheets will agree that it is highly susceptible to human error owing to the fastidious nature of data entry. Fortunately, the rise of digital, cloud-based services has made life extremely easy for SME businesses, even for those providing in-field services like pest control. If you’re someone who runs or wishes to start a pest control business, these are some ways digital solutions can help you run your business more efficiently. Keeping a track of your schedules using spreadsheets is a thing of the past. Field-service management and asset management apps can help you manage the schedules for each of your pest control teams. By using smartphone apps with built-in location tracking, you can dynamically assign a team to a job depending on their proximity. You can also use smart apps to automatically assign a visit or call to a home that is due a service. This helps avoid the human intervention of periodically checking which homes require work. Imagine a system that can assess a variety of factors using a smart algorithm and then accordingly send an accurate quotation to clients through an email or text message. This is a simple example of how automated smart apps for field service management can help optimise your business by reducing time taken for simple administrative tasks. Similarly, the same app can be used to send an invoice to the client once the exterminator confirms the job is complete. This level of automation is a huge boost for small-to-medium size businesses, who can then utilise their resources for more productive work. The ability to communicate with another individual at a moment’s notice has been a game changer for businesses. Unfortunately, in the field of pest control services, it has also raised the bar for customer service and operational efficiency. Field service management apps are generally designed with a communication channel, in the form of a chat service. By creating dedicated communication groups for different teams and workflows, you can reduce the room for communication gaps and keep all teams on the same page at all times. No matter what kind of service-based business you are running, it is important to listen to your customers and implement feedback with a positive attitude. Many field service apps provide a system for customers to log their grievances and feedback, which can then be used to make changes in operations while also ensuring such mistakes are not repeated. Similarly, by ensuring your customer records are up to date, your in-field teams can learn patterns of infestations and keep inventory ready for jobs that are on the trickier side.